We’re excited to give you free access to RightNow Media- a wonderful library of video resources for all ages from churches and pastors all across the country, to help you develop and grow. Streaming directly to your computer, tablet, or mobile device, you’ll find the online Bible Study Library includes relevant content for every age group or spiritual season. You can search by category, topic, or speaker. Additionally, many of the series have direct links to workbooks and leader guides. Parents, you’ll find that RightNow has a multitude of videos and resources for your kids. Log in or download the app today! 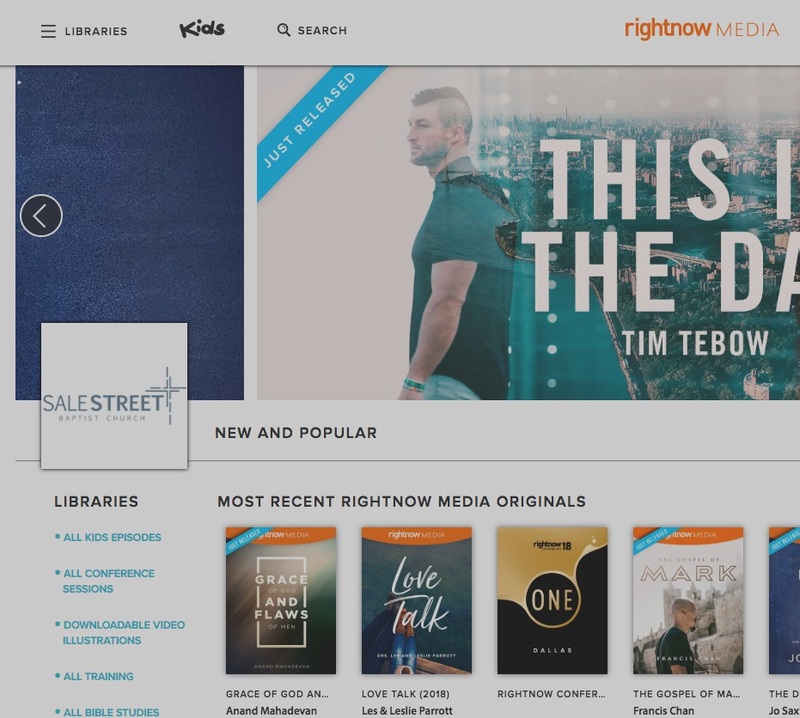 RightNow Media is a digital library of over 10,000 Bible study videos for adults, youth, and kids. You’ll also find training videos for small group leaders, ministry volunteers, and more. Bring structure to your Sunday School class with custom hand outs, leader guides, and study session videos. You’ll love this resource! RightNow Media is the Christian Netflix for kids! You’ll find TONS of engaging TV shows, studies, and thought provoking videos for at home or on the go. Download the RightNow Media app and stream to your tv, phone, tablets, or other streaming device. Anywhere you stream Netflix, you can stream RightNow Media!